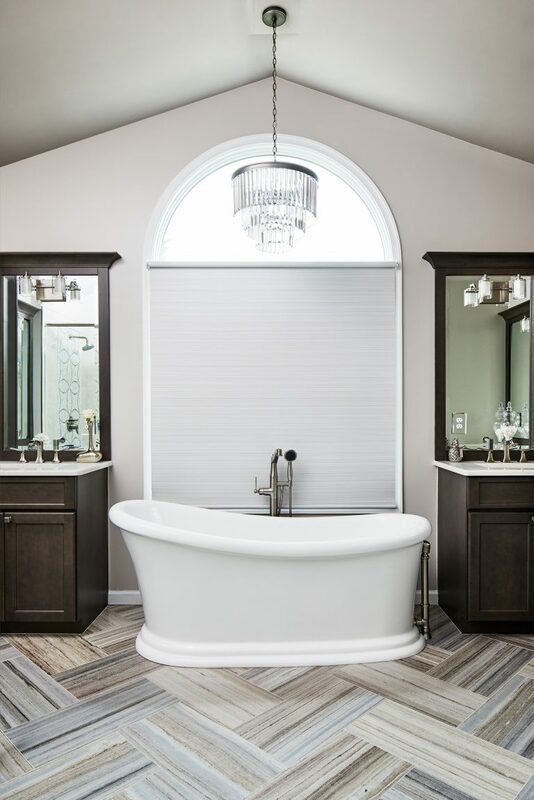 Our clients wanted to remodel their master bath to add more style. Their master bath features a gorgeous marble floor, along with a free standing tub and “his”/“her” vanity areas. In the master bath we turned the corner with custom mirrors and mill-work, to add to storage.